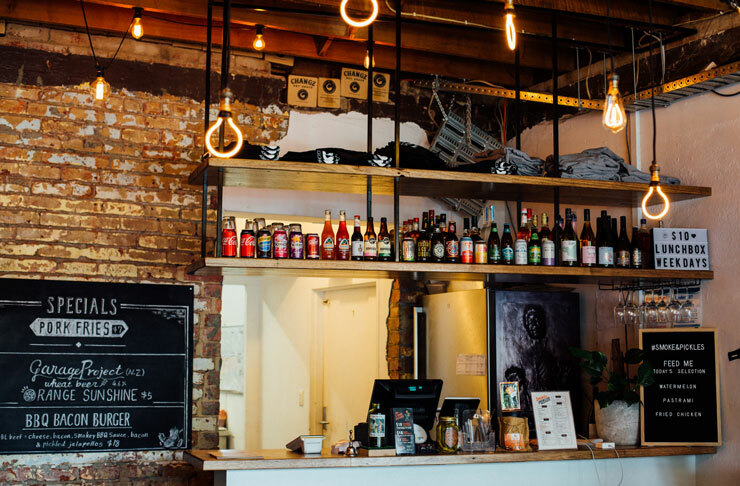 If you’re a burger fiend who resides in the inner south-east of Melbourne you’ve probably come across Changz Canteen at some point. Considered burgers, fried chicken, and other delicious morsels were at your disposal. But now it’s time for Changz to grow up. It’s time for Smoke & Pickles. But why the change? Owner Tom Jacobsen sees it as a step away from the nostalgic name of Changz Canteen, and a move towards becoming its own identity. The name and concept change feels like a coming of age for the restaurant. Not just a burger store any more, the Smoke & Pickles menu does exactly what it says on the box, serving up a range of smoked dishes, as well as pickled dishes alongside their burger menu which has had a few tweaks since the Changz Canteen days. Out is the Canteen Classic, but not totally—you can still order it as an off-menu item, But in is a burger called the Chipotle Chicken, which, and I know this is a big call, I think is probably the best fried chicken burger floating around Melbourne currently. Their Reuben burger is sticking around which is good news for fans of their house-smoked pastrami, which by itself is also something you really should order. Other burger highlights include the Fish burger with battered rockling, cheese, pickled cucumber, Asian herbs, bean shoots, nam jim, and a lime mayonnaise, and the Truffle & Mushroom which is as rich as they come with double beef, double cheese, Parmigiano Reggiano, enoki fries, mushroom ketchup, truffle, and roast garlic aioli. For vegetarians, they’ve got the Veggie burger, which has black quinoa, roast pumpkin & chickpea cake, tomato, coriander, onion, lettuce, and sweet chilli coconut yoghurt. 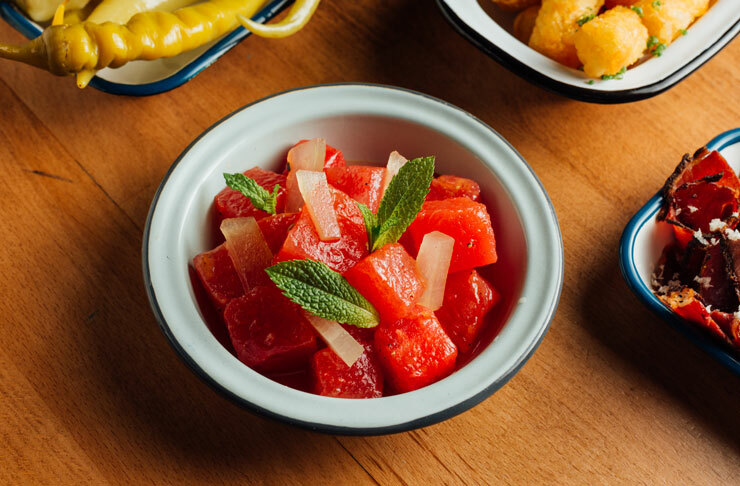 On the pickled side of things, you’ve got everything from Boston Pickles, to the pickled watermelon which is unlike anything we’ve seen before. 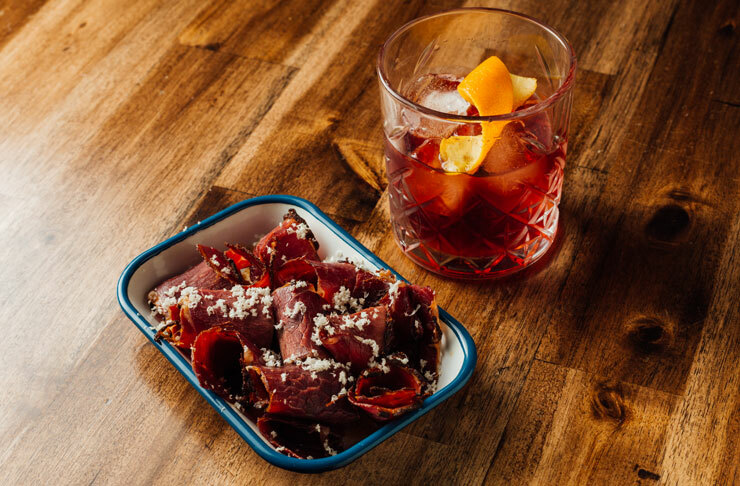 If smoked meats are absolutely your thing, then Smoke & Pickles definitely has you covered there. On the smoked part of the menu, you’ll find smoked beetroot, which is served with BBQ sauce, crispy kale, and cashew cheese. House-made pastrami which you won’t be able to get enough of, is served with fresh horseradish, and the smoked pork belly comes with an apple BBQ sauce, and, of course, crackling. The whole menu takes on “southern tapas” style as owner Tom Jacobsen describes. It’s designed for a bunch of friends to pick a range of items and share amongst them—with a healthy range of beer, wine, cider, and soft drinks all on hand as well to keep the party going. On the drinks front, Smoke & Pickles also does $10 cocktails all day, every day. 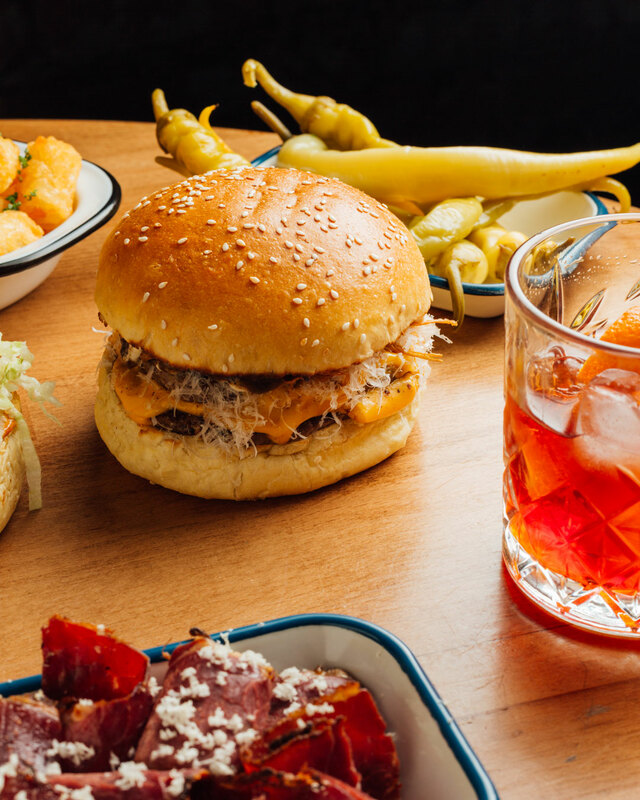 Choose from the Smoked Negroni, Peach Bourbon Tea, and the Pickled Bloody Mary. Smoke & Pickles is the kind of joint you can definitely find yourself in after a long day at work. The space, while small-ish, is comfortable and welcoming. Timber furniture fills the space between the exposed brick walls, with the counter and kitchen placed right up the back. Want some advice on how to launch your side hustle? Check out our new series On The Side here.